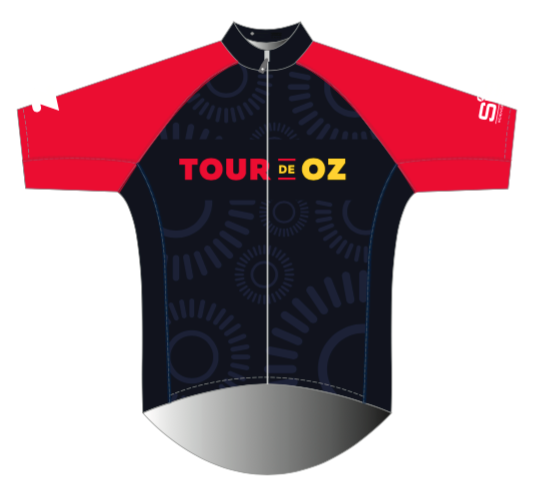 Join us for the 2nd annual Tour de Oz! This 7-stage event marks the anniversary of our very first group event series that was held on Zwift. We’ll celebrate in true cycling fashion, by riding together on Zwift and logging plenty of km//miles in an exclusive kit. This year we’re partnering with Science in Sport (SiS), makers of the finest fuel for endurance riding and more. Along the way, they’ll share tips for staying supplied for long rides, especially of the indoor variety. There’s a reward for completing all 7 stages, too. We’re offering a Zwift first for this event - ride all 7 stages to unlock the virtual kit. Adding that to your locker unlocks access to purchase the physical Jersey. Zwifters who complete all 7 stages will unlock the SiS Tour de Oz kit. The kit will be assigned to you by August 10. Zwifters who complete all 7 stages will receive a code to purchase the in-real-life (IRL) kit. Proudly wear your kit indoors and outdoors. During each stage, you will ride in the kit but you won't unlock it unless you complete all 7 stages. 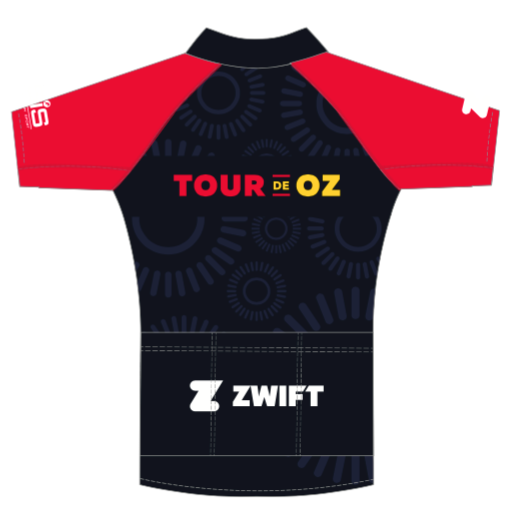 All Zwifters who complete all 7 stages will unlock the SiS Tour de Oz kit, and have it for keeps. This kit will be added to your account by August 10. Note: You must ride the full length of each stage to unlock the Kit. We’re not stopping at a digital jersey this time around. For the first time ever on Zwift, riders who unlock the SiS Tour de OZ kit, will be able to purchase the real-life version. Show your Tour colors with this classic and rare collector’s item. This limited run of jerseys and bibs means you’ll want to get your hands on the kit before it disappears. You will be provided a link via email to the purchase page once all 7 stages have been completed. July 30 - Makeup day #1 // Ride all the Stages that you missed. July 31 - Makeup day #2 // Ride all the Stages that you missed. Remember to complete all 7 Stages to unlock the Kit and access to purchase the real-life version - Complete 5 stages for 9x free SIS Isotonic Gels. Science in Sport is a leading sports nutrition company that develops, manufactures and markets innovative sports nutrition products for professional athletes and sports enthusiasts. SiS was founded in 1992 and is headquartered in London, EC1N. Their manufacturing facility is in Nelson, Lancashire. *Free SIS Isotonic Gels Rules and Info: Limited to 1 unique code per Zwifter, the code will be sent to your Zwift login email address within 48hrs of completing the full length of 5 stages, the code will enable you to redeem 9x SiS Isotonic gel (3x Vanilla, 3x Fruit Salad 3x Salted Caramel.) This code can be used and delivered to all countries outlined on SIS.com, please see SIS regional shipping rules for Shipping and Returns details here - USA, EU, AU, ROW. For any help with your order please contact SIS customer service team. Code redeemable until August 31, 2018. Update July 23: There has been a delay with assigning the unique codes for the Gels. Fear not, If you have completed 5 stages by 23rd, you will receive your unique code for 9x Gels by the end of the week.